In a battle that’s been brewing longer than my coffee, Adobe’s finally starting to capitulate in Apple’s crusade against Flash. They’ve released an AIR tool, “Wallaby”, that lets developers convert Flash content to HTML5. I’m glad to see them try to make things work – it’s pretty obvious that Apple’s not going to change their mind anytime soon, and the more content available on iOS, the better. And although it’s still in very early stages, the tool seems to work decently well. I’ve heard some rumors before that HP might try to push WebOS out on PCs in the future, but certainly didn’t expect to see an announcement any time soon. 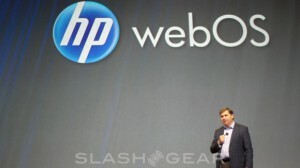 But in from official announcement, from 2012 onwards, all HP computers will be dual-bootable with Windows and WebOS. I appreciate and understand the mentality of providing a unified experience across all devices, but don’t quite grasp how they think the mobile operating system will be useful on a traditional PC. No complaints from a consumer’s perspective – I’m all for more options. I’m just not sure the effort’s worth it on HP’s part; hopefully they’ll prove me wrong. 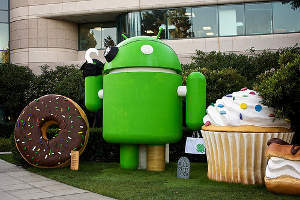 We all knew this was coming, but Android’s formally secured the spot as the most popular mobile OS in the United States. Given the insane number of Android devices on the market, the 31.2% market share makes plenty of sense. Granted, at a 30.4% share, BlackBerry could easily rise to the top – but in the long term, I don’t see things changing too much. 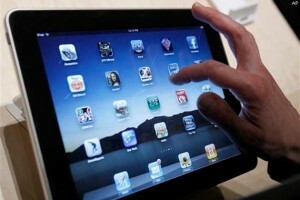 Apple’s iPad 2 was finally released to anxious lines of nerds at malls nationwide. 1 GHz A5. 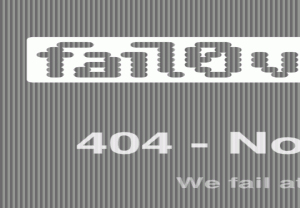 1024×1768 resolution. Two cameras. 10 hour battery. Enough said. Do you go crazy thinking about WebOS on a PC? Wait in line for an iPad 2? Any other thoughts about the last week’s news? Drop a comment! This is my attempt at starting a quick, weekly wrapup of current tech trends with an injection of my opinion. I’ve recently been wondering how much of my blog-reading is actually retained, so I thought about taking some notes while going through my RSS reader. But I’d rather get in the habit of sharing with everyone else. So here we go. You’re welcome to just read the relaxing green text to hit the high points. February 10. Pretty self-explanatory. I’m really tired of hearing the phrase “Verizon iPhone”, but it’s nearly impossible to not mention when discussing recent tech news. Rumor has it that Verizon’s been in talks with Apple since 2008, although VZW was never a contender for the original iPhone. We’re now hitting the point where Android tablets are starting to catch up to the iPad. The Motorola Xoom, LG G-Slate, and Galaxy Tab are the most compelling three in my eyes, although new ones seem to pop up daily. 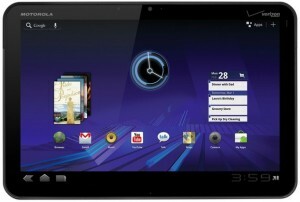 Plus, Android 3.0 Honeycomb looks absolutely beautiful; an operating system that’s being built solely for tablets (for the time being) will make this new hardware really scream. People can’t seem to get over this one. The concept’s been around for a couple years, but got an even heavier push at this year’s CES. Between random trips to Best Buy and at this year’s CEDIA, I’ve seen plenty of the devices, but I’m still not sold; cumbersomely wearing glasses to stare at a headache-inducing image just isn’t attractive. And even though attempts are being made at eliminating the glasses, there’s plenty of barriers that need to be broken. What’s crackin’, yo? George Hotz, the fellow responsible for a smattering of iPhone jailbreaks, has done the same with the PlayStation 3. His FAIL0VERFLOW project allows for custom firmware, which in turn allows for pirated games and software that’s not blessed by Sony. A California restraining order followed, but was put on hold due to the fact that the coding was done in New Jersey. While most Android users are still waiting to get ahold of 2.3 Gingerbread, it’s looking like Google’s on track to release 2.4 “Ice Cream Sandwich” sometime this summer, likely at Google I/O. Faster speed and better Flash support is rumored, although I’m somewhat confused by the naming. If 3.0 is Honeycomb, I’d think 3.1 would be Ice Cream Sandwich for the sake of keeping the alphabetical progression intact. 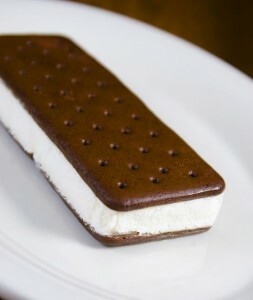 Not to mention the mouthful that “Ice Cream Sandwich” is. And get this: the added “Sandwich” seems to be an attempt to avoid confusion with Froyo when Google rolls out their Android replicas. Shenanigans. Developer betas of iOS 4.3 have been seeded. The update has awesome new multitouch gestures for iPad multitasking, and also brings the ability for iPhones to create a personal hotspot. 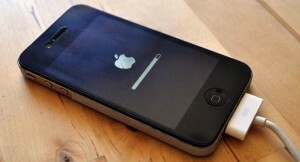 Unfortunately, it looks like support for the iPhone 3G is being dropped, which is pretty bad news for me. 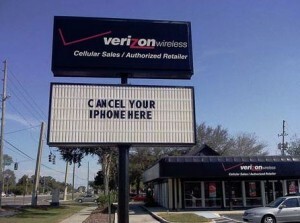 Good thing it’s just in time for the Verizon iPhone. Arrgh, I said it again. I also stumbled across this really cool “Connected Store” concept from Intel. The future really is fresh; I can’t wait until every conceivable surface is a screen. Thoughts? Anything I blatantly missed? Think I can crank one of these out every week?